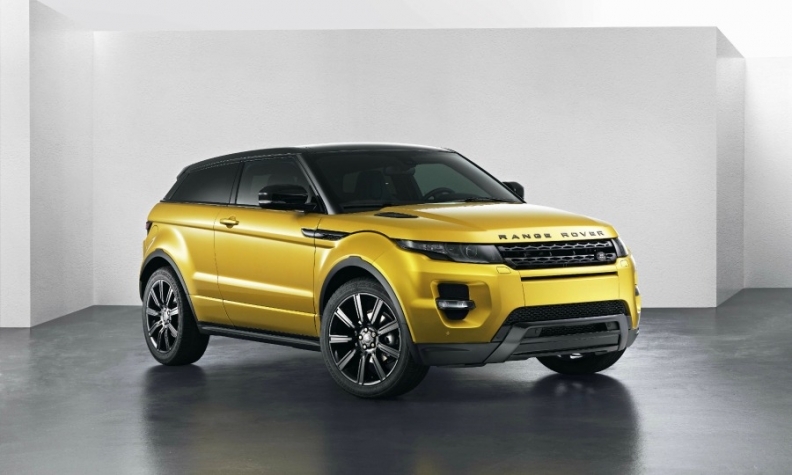 The Range Rover Evoque (shown) mixes sports car and SUV elements while the Nissan Qashqai combines a hatchback and SUV. The success of both has automakers looking to blend even more key characteristics. The success of the segment-busting Nissan Qashqai and Range Rover Evoque was a wake-up call to automakers. Now they are ready to push the trend to a new level. Previously, customers who wanted a compact SUV would have to sacrifice the handling, fuel economy and practicality of a compact hatchback. The Qashqai eliminated the compromise by appealing to car buyers on those two dimensions. Today it is one of the top-selling cars in Europe. Land Rover's Range Rover Evoque is another example of the trend. It successfully combines an SUV and a sports car. Land Rover is struggling to build enough Evoques to keep up with demand. Thomas says that these types of models, which he refers to as "bridging products," are just the beginning. The result will be a rising number of segment-defying models. "We will not always be able to look at a vehicle and say it's the combination of a sports car and an SUV for instance. It will have attributes from many different product groups," said Thomas, who worked at Nissan for 20 years prior to joining VW in 2011. "You won't be able to call it an MPV or a sports utility or a hatch ... You won’t be able to put a label on it or put it in a box. We will need to look at cars in the same non-segmented way as customers." This story is from the current issue of the Automotive News Europe monthly e-magazine, which is available to read on our iPhone and iPad apps.You can download the new issue as well as past issues by clicking here. Europe's No. 1 brand, Volkswagen, last year led five of the 14 non-premium segments tracked by Automotive News Europe and market researcher JATO Dynamics. Fiat and Nissan topped three segments in 2013. Nissan was the leader in two of the three volume SUV/crossover segments because of the Qashqai and its smaller sibling, the Juke, and was No. 1 in the electric car niche with the Leaf. There was a shake-up in the 10 premium segments that ANE monitors. Mercedes-Benz was No. 1 in four segments, Audi led in three and BMW in two. In 2012, BMW and Mercedes each won three segments and Audi won two segments. Bentley continued to lead the exotics niche, which comprises Europe's most expensive cars, because of strong demand for the Continental GT/GTC. Consumers' appetite for compact-premium vehicles rose sharply in 2013. Led by strong demand for the new Audi A3 and Mercedes-Benz A class, sales in the segment rose 23.5 percent to 781,468. The surge boosted the segment to No. 5 overall in Europe last year from No. 7 in 2012. A 21.5 percent decline in sales to 621,543 dropped the mid-sized segment to No. 7 last year from No. 5 in 2012.